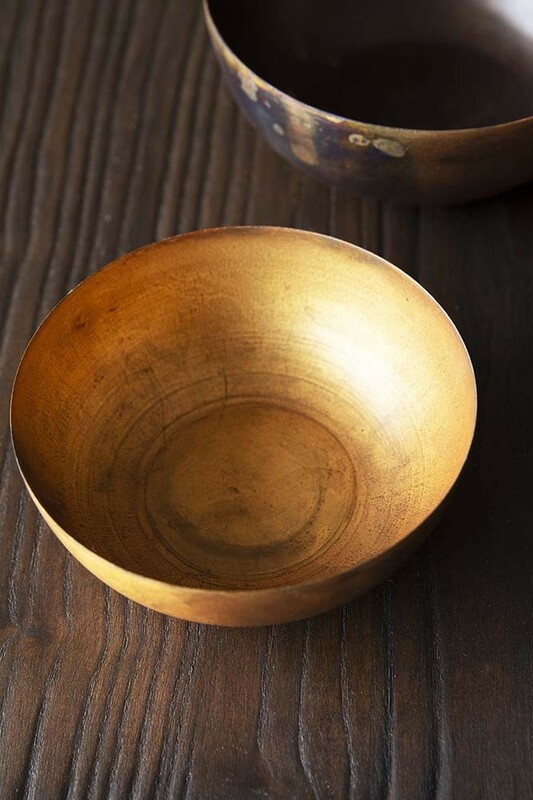 Beautiful rustic metal bowls in four different sizes that are sold in a set of 4. 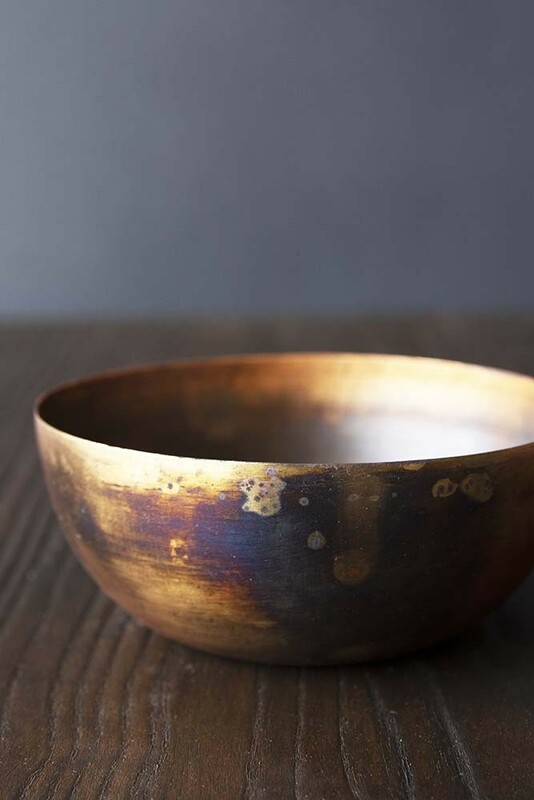 Ideal for both the kitchen or as decorative display bowls, each bowl in the set has it’s own unique markings, colours and oxidised metal detailing. And, that’s why we love them! It’s the little things in life that offer the important moments of happiness , joy and respite. From having a great cup of coffee in your favourite mug to snuggling up in a cosy throw that looks just as great as it feels. It’s these small things that can lift your spirits even on the hardest of days. Because of this, at Rockett St George we believe that everything in your home should be beautiful, including the useful and functional pieces. And so, we are always on the hunt for decorative ornaments, display pieces and beautiful homeware that will refine and complete your interiors in a beautifully personal way. Our new Set of 4 Old Metal Bowls will do exactly that. 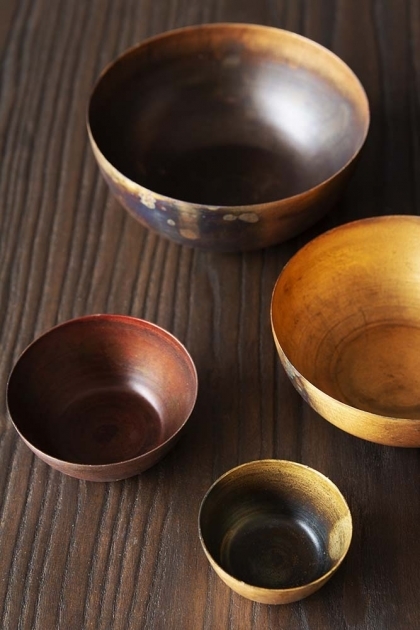 Really beautiful display bowls that are useful and multifunctional too, we think that the Set of 4 Oxidised Metal Bowls will make you smile every time you see them. A set of 4 multipurpose oxidised metal bowls there are so many different ways in which you can use these different sized bowls. For the kitchen, use the larger rustic metal bowls as snack or appetizer bowls such as olives or nuts and the smaller bowls for sauces such as mayonnaise, cranberry sauce or ketchup. In your living spaces such as the living room or bedroom, you could use the old metal bowls as decorative or display bowls. The colours of the bowls really are so beautiful and would make a fabulous eye-catching feature on your coffee table. Alternatively, use the metal trinket bowls as containers for your jewellery, tealights or even your potted plants! Another fabulous idea would be to use your set of 4 vintage metal bowl set in the bathroom. You could use the bowls to hold your cotton pads, toiletries, soaps, lotions and potions and tealights. We know we’ve said a lot about this set of bowls, but that’s because they really are so beautiful! We think that you will treasure these bowls for the year to come and what’s more we think that they would make a rather wonderful gift idea for newlyweds, new homeowners or that friend or family member that loves vintage pieces.